Model R1100 is OMNI's refrigerator / ice maker water filter with enhanced carbon block filter to reduce rust, sediment, chlorine taste, odor, lead, mercury, cryptsporiduium, giardia. Quick Connect Fittings for the do-it-yourself-er. With the Quick Connect Fittings, Model R800 installs in seconds on 1/4" plastic or copper refrigerator / ice maker water lines. No installation kit is needed. 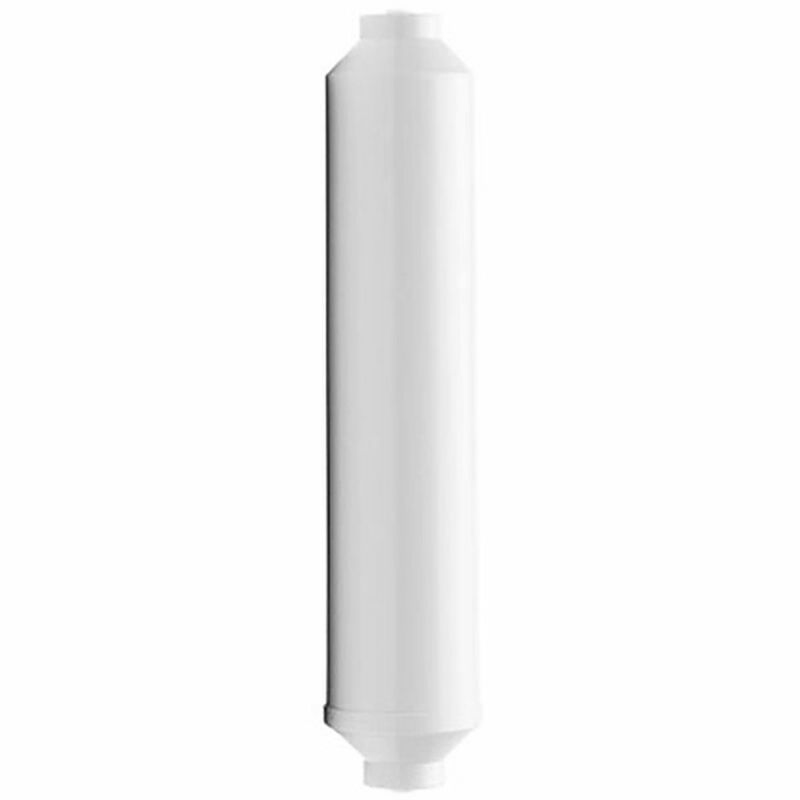 The activated carbon filter cartridge removes chlorine and odors to give you great tasting water and ice right from the refrigerator / ice maker water line. Change cartridge filter every 1 year or 2,500 gallons. The 1100R Cartridge is used on the R1100 mount. Healthier, tastier ice cubes and water at your fingertips! Just need a replacement cartridge? OMNI's refrigerator / ice maker filter, for the do-it-yourself-er, makes great tasting water and ice cubes. Installs in seconds on refrigerator / ice maker water lines with Quick Connect Fittings, which are valved to shut water off when the cartridge is disconnected during replacement. No installation kit needed. OMNI's refrigerator / ice maker filter makes great tasting water and clear, great tasting ice cubes. Installs in seconds on refrigerator / icemaker water lines with Quick Connect Fittings. No installation kit is needed. Note: The water needs to be turned off before removal/replacement of filter.